NEW ZEALANDER Kurt Heatherley will become the first born and bred Kiwi to play in the AFL when he makes his debut for Hawthorn against Melbourne at the MCG on Saturday afternoon. The athletic 21-year-old key defender is a like-for-like replacement for 2015 premiership player James Frawley, who was a late withdrawal with a jarred shoulder. Hawks recruiting chief Graham Wright first noted Heatherley's talent when the youngster toured Tasmania with an under-16s basketball team. Hawthorn's sixth debutant this season, Heatherley spent two seasons as an international rookie before being promoted to the primary list at the end of last year. He has been particularly impressive in the VFL in recent weeks, being named among Box Hill's best players in five of his 14 VFL games this season. Heatherley recently told hawthornfc.com.au his form had been the result of a more simple mindset. 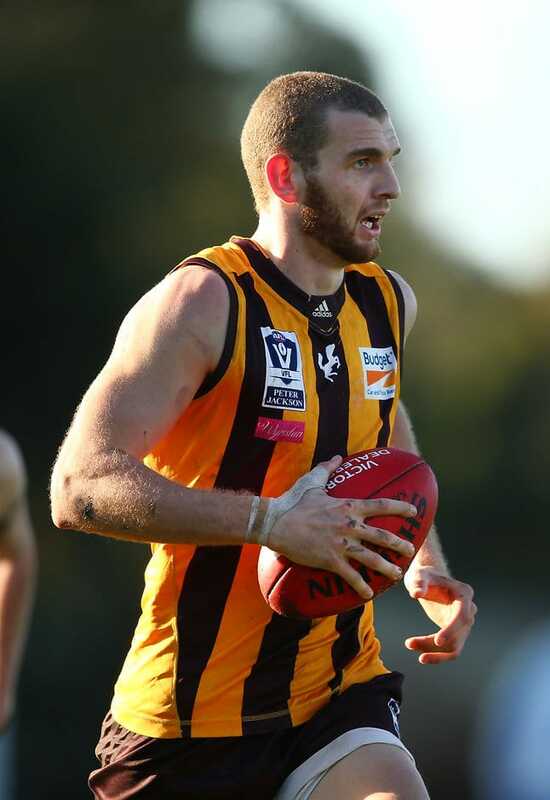 "I think just getting back to basics (has been the key) – taking the first option and just being aggressive," Heatherley told hawthornfc.com.au. "I sort of went away from that at the start of the season and got a little bit frustrated, but the last couple of weeks I’ve really started to just focus on playing my role for the team and doing whatever’s possible to try to get the win."